William Joseph “Bill” Foley, 89, died Thursday, Feb. 12, 2015, at the Butte Care and Rehabilitation Center. Bill was born in Butte on June 6, 1925, the son of George “Mick” and Julia (Powers) Foley. He attended St. Patrick’s Elementary School and Boys Central High School before serving in the Navy from 1943-47. He served on the aircraft carrier the USS Rudyerd Bay (CVE-81) in the Pacific Ocean during World War II, serving in five major battles and through a typhoon that sunk three destroyers. After the war, Bill returned to Butte and married Jean Leeming on April 15, 1948. They stayed by each other’s side until his death. Together, Bill and Jean had a son, Bob, and daughter, Pat. Bill was a member of the IBEW for 66 years. He began his career as an electrician working for the Anaconda Co. He retired in 1990 as the Butte-Silver Bow County electrical inspector. 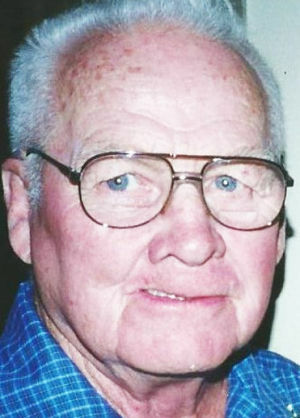 A passionate golfer, Bill served as the Highland View Golf Club president for 14 years in the 1970s and 1980s. He enjoyed a good joke, a lively debate, eating Jean’s cooking, drinking Lucky Lager and following the Montana Grizzlies, particularly the football and women’s basketball teams. Watching his grandchildren grow up, though, was his greatest joy. He often said his main goal was to live long enough to know his grandsons as grown men. Grandpa Bill accomplished that, and then some. Preceding him death are his parents; his brothers Don and George (Mary); brothers-in-law Bill Leeming and Donald (Shirley “Rusty”); sisters-in-law Betty (Emil) Jacenich, Charlotte (Moran) Leeming and Margaret Mary (Crowley) Leeming. He is survived by Jean, his wife of nearly 67 years; his sister Shirley (Bill) Sharkey; brothers-in-law Tom Leeming and Pete Leeming, both of Yuba City, Calif., and Jack (Arlene) Leeming of Lynnwood, Wash.; son Bob (Jo); daughter Pat; and his four grandchildren Don (Sheri), Bill (Kim), Bob (Alicia) and Zach (Shannon). Also surviving and missing Grandpa Bill are 11 great-grandchildren. Special thanks goes out to the hardworking and caring men and women at the Butte Care and Rehabilitation Center. Cremation has taken place. Visitation will take place at 10 a.m. Friday, Feb. 20, at St. Patrick’s Church. Funeral services will be held at 11 a.m. Interment of the ashes will follow at the Holy Cross Cemetery. Memorials in Bill’s name may be made to the Shriners Hospital for Children in Spokane or a charity of the donor’s choice.